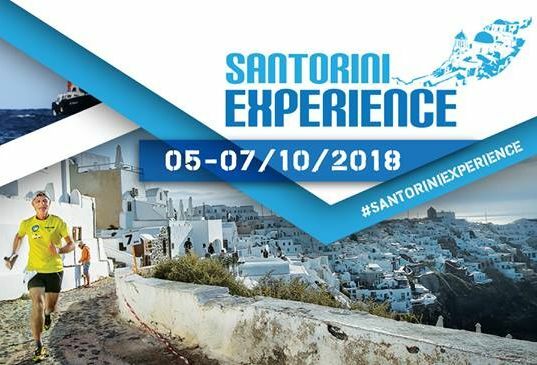 Registration has opened for the 4th “Santorini Experience”, a leading sports tourism event in Greece, to take place on Santorini in the Cyclades between October 5-7. 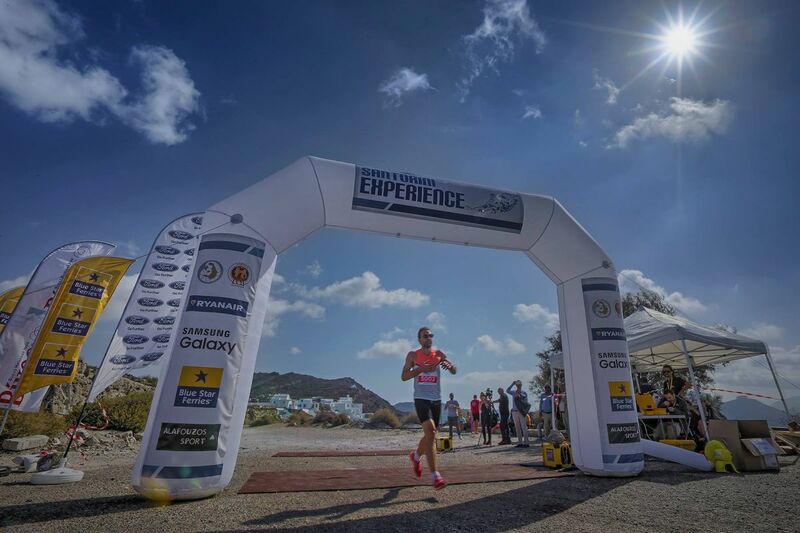 A co-organization of the Municipality of Santorini, DAPPOS and Active Media Group, the “Santorini Experience” includes running and swimming events along picturesque routes on one of Greece’s most popular islands. The event for the first is offering early bird prices. Early bird registration costs 20 euros per activity if participants register the latest by May 31. As of June 1, the registration cost will rise to 30 euros per activity. This year’s registration process will be carried out with Travelotopos, an innovative software solution company in tourism. To register, press here. “Just like every year, the goal is to achieve a participation record, compared to 2017 when athletes arrived from 40 different countries,” the event’s organizers said in an announcment. “Santorini Experience” participants for the first time will receive specially designed technical T-shirts of the event, as well as other gifts from official sponsors. The participation packages for runners include a bag, t-shirt, medal, entry number and timing chip, while for swimming include a bag, t-shirt, swimming cap, medal, tattooed entry number and timing chip. During the upcoming weeks, information about accommodation packages and easy access to Santorini will be released. 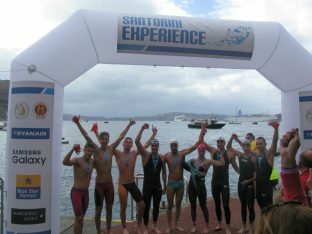 “Santorini Experience” running event. Photo by Loukas Hapsis. 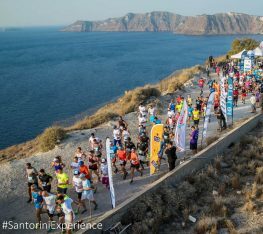 For running fans, three different routes — 5 km, 10 km and 15 km — will take place on Saturday, October 6, with the renowned volcano as their setting, overlooking the Caldera and passing through the settlements of Imerovigli, Firostefani and Oia. The running routes are designed by the former marathon runner, Greek classic route record holder, running trainer and director of All About Running, Nikos Polias. The open water swimming event, which includes a 1.5 mile (2.4 km) race, will take place on Sunday, October 7. The swimming route, from the volcano to the old port of Fira (average water temperature of 20-22 degrees Celsius), will take place under the safe technical direction of federal coach with Olympic and World Championship distinctions, Nikos Gemelos. The island’s Lifeguard Patrol will contribute to safety measures and amateur athletes will be provided with a lifesaving buoy. Moreover, distinguished age categories will be formed depending on the final participation entries. Besides swimming and running, more activities will be held, such as the 1km children’s race, as well as Tae Kwon Do performance exhibition from the two times silver Olympic medalist, Alexandros Nikolaidis. 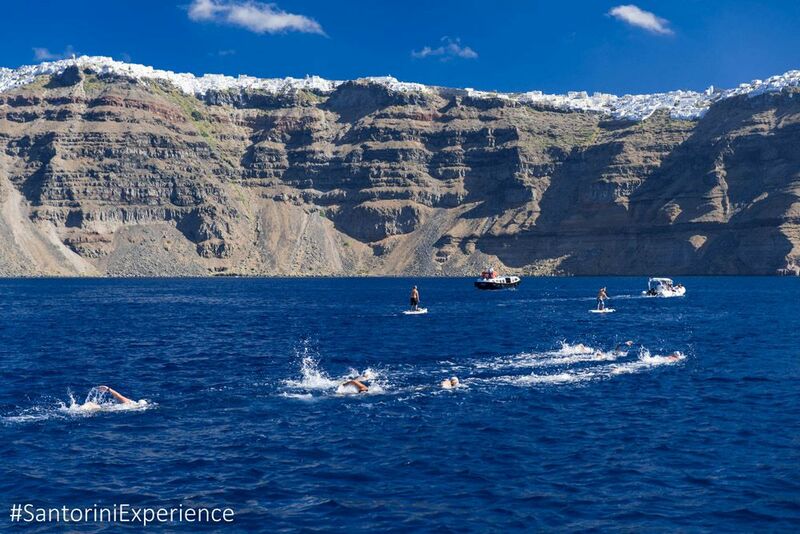 Participants in “Santorini Experience” will earn a global ranking, as this year’s edition is part of the Global Swim Series (GSS), which numbers over 131 swimming races. Ratings are based equally on participation and speed. 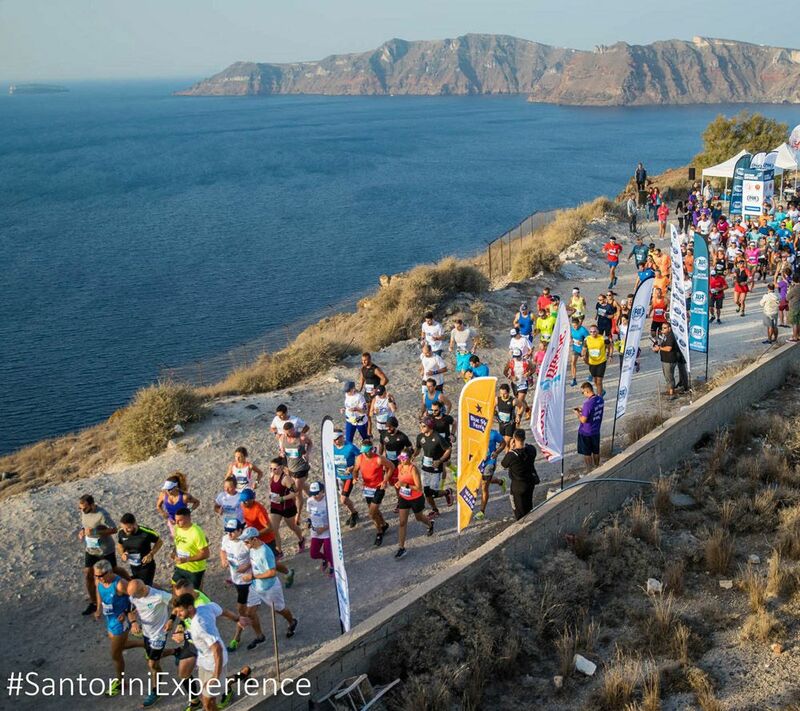 “Santorini Experience” has also become part of the global community of World’s Marathons, which counts more than 3,968 running races worldwide. Official sponsors of the 4th “Santorini Experience” are Ford Motor Hellas, Alafouzos Sport and Athina Luxury Suites. Official supporters are Natural Mineral Water “Vikos”, Santorini Hoteliers Association, Meltemi Hotels & Resorts, Aqua Vista Hotels and Boatmen Union Santorini. For further information on the event, press here.